We do not accept patients that are self pay. 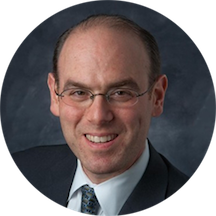 Andrew J. Parker, M.D., Medical Director of Parker ENT of Fairfield County, is a Board Certified Otolaryngologist (an Ear, Nose and Throat specialist), with offices in Norwalk and Ridgefield. Dr. Parker completed his Ear, Nose and Throat residency at the New York Eye and Ear Infirmary in Manhattan, the oldest specialty hospital in the United States. Dr. Parker is the Chief, Section of Ear Nose & Throat, Surgery at Norwalk Hospital and performs surgery When not practicing medicine, Dr. Parker enjoys being a lead singer in two local Fairfield County rock 'n roll bands (DNR and VERTIGO), and spending time with his wife and their two children. We do not accept patients that are self pay. Very thorough and accurate. Dr. Parker was on point and got to the root of my problem. Offered multiple solutions. Great doc. He is personable, knowledgeable and genuinely concerned about his patients' well-being. His support staff is helpful and friendly. Dr. Parker was very friendly and made me feel 100% comfortable with him. So glad to have chosen him! Wonderful visit! Went to him as a second opinion for difficulties my son was having with his vocal cords. I felt He was right on the money with what he diagnosed and course of treatment. Even the supplies he recommended thatI could buy in his office were reasonably priced . Wonderful first experience. Was very knowledgable and friendly. He was great, found my problem and fixed it, I feel great. I can breath again! Dr Parker was very attentive and took the time to explain to me my specific issue. He makes you feel at ease and doesn't rush you in your appointment.